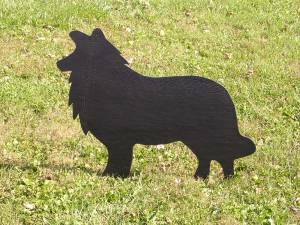 No doubt all of you have come across various products – weathervanes, mailboxes, lawn ornaments, signposts – in the shape of your favorite breed of dog. 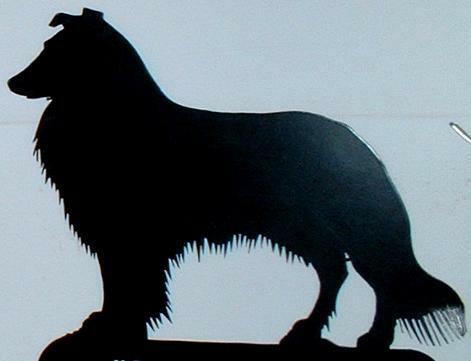 Some years ago, another collie breeder-friend gave me a lovely metal collie silhouette for use as a kennel sign. 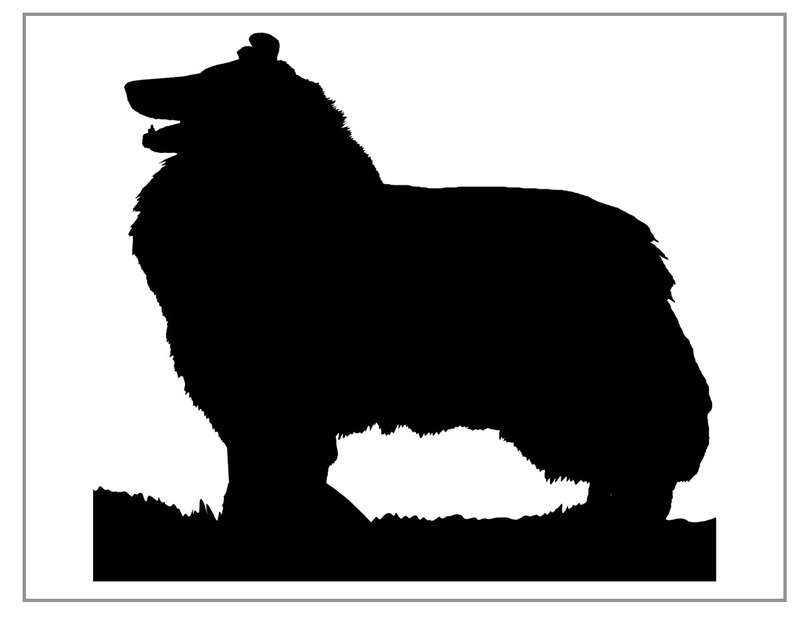 I thought that it was very representative of the spirit of the collie – an elegant, proud and impressive image. It hangs on the wall at the entrance to my house, and I enjoy seeing it every time I pass. 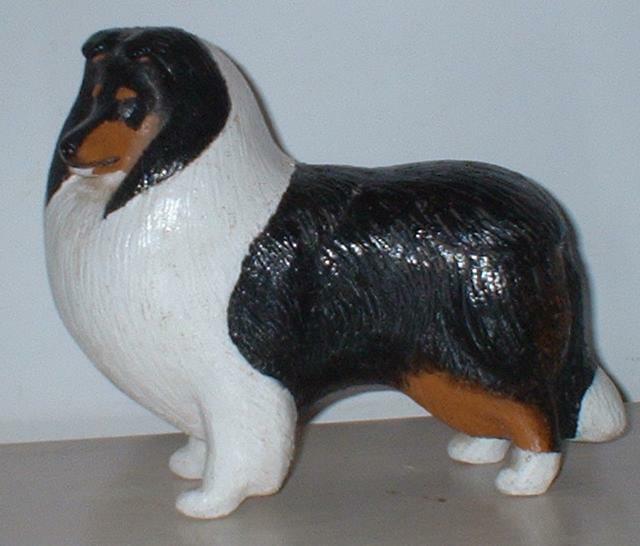 I also have a lovely little statuette of a collie which I received as a gift. Both of these were given to me in the 1980's. 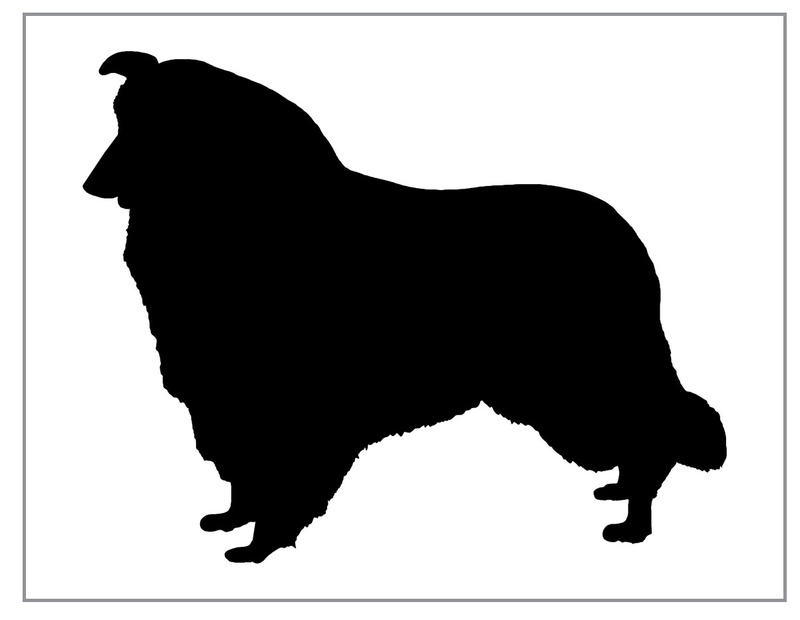 Recently, a friend of mine, knowing I was a collie lover, showed me an advertisement for wall brackets in the shape of various breeds. Among them were the collie and the sheltie. I was quite amazed to see them. 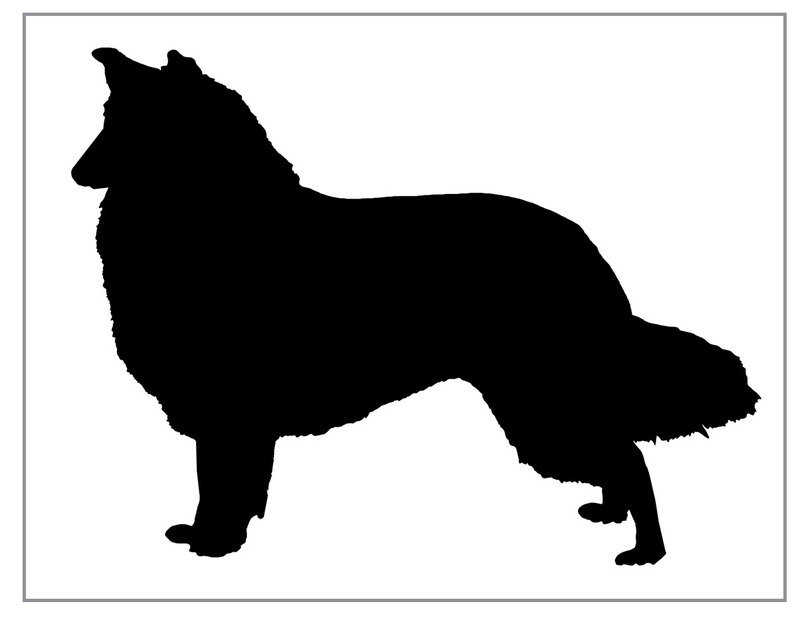 While the silhouette of the sheltie showed the proper neck and body shape and was identifiable, the collie silhouette was almost shapeless and certainly did not show the pride and elegance of the collie. 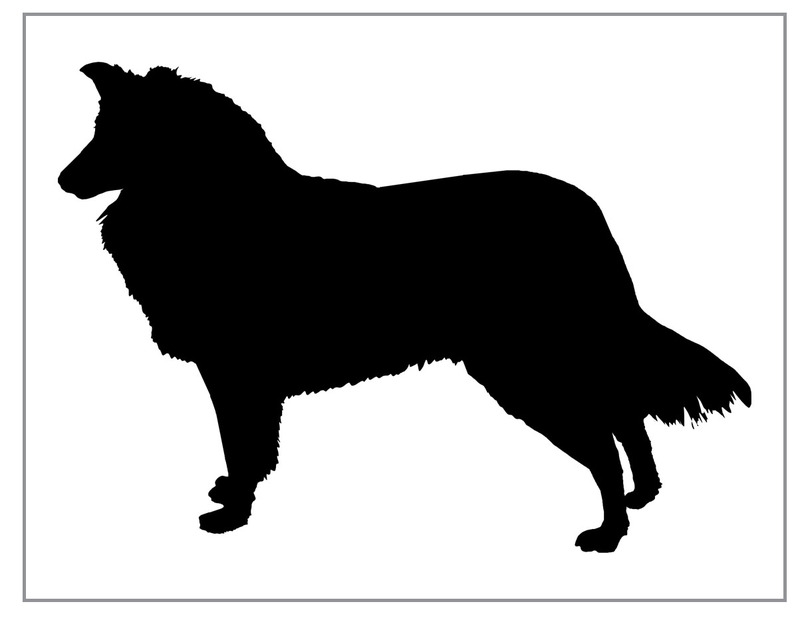 I would have had a hard time identifying this silhouette as a collie at all if the breed name was not printed under the photo. 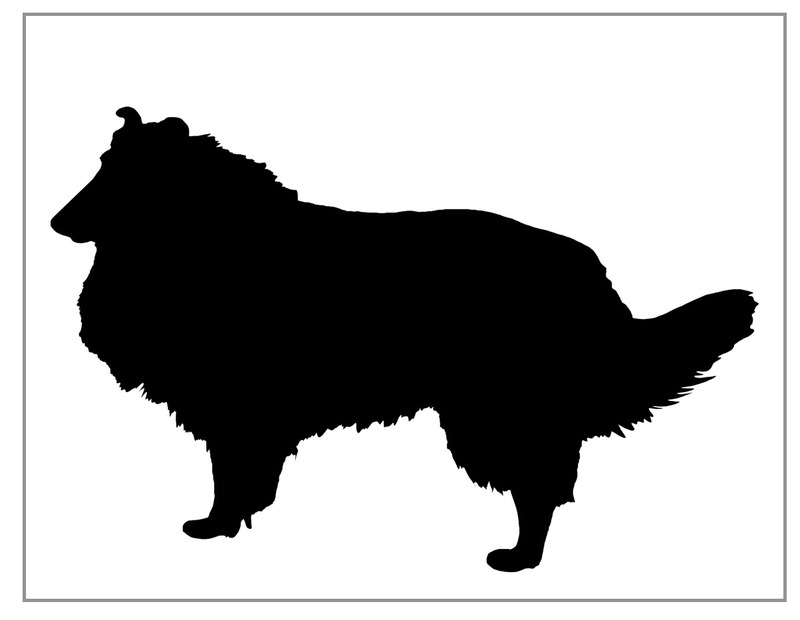 I decided to look for more collie silhouettes, and I found quite a few. This is intended as a memorial or grave marker. This one is for a weathervane. This one is a mailbox. This is a wood silhouette to stand in the garden. 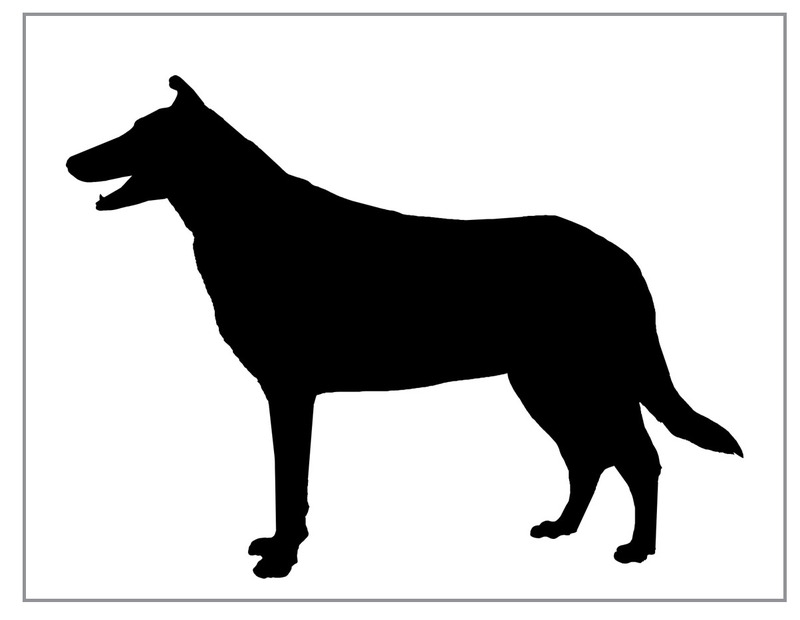 This is a graphic of a collie. Quite a wide variety of shapes, and few of them with the elegance and presence of the silhouette I received years ago. Why is this of any importance, you might ask. 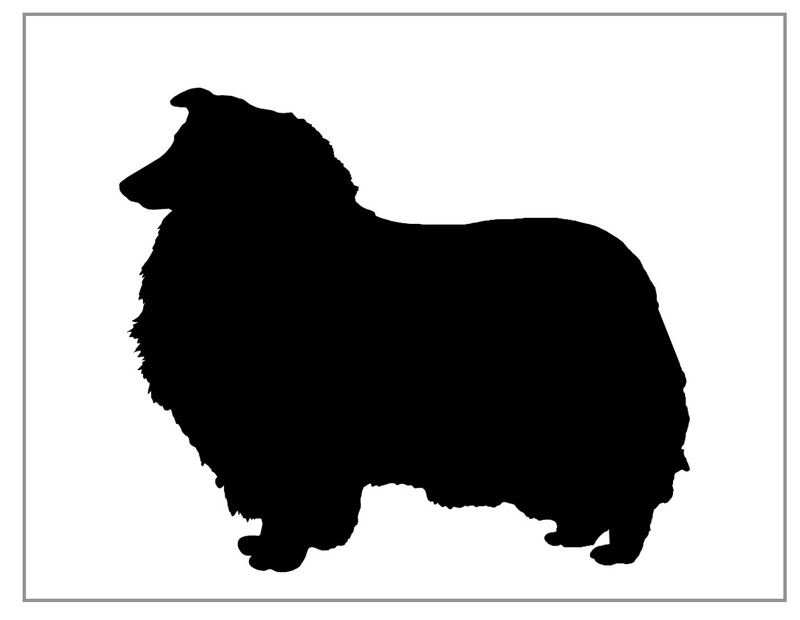 Because this is the way our collies appear to the ordinary person, who is not a dog person though he may love dogs, and who is not looking for show dogs to fit the breed standard, but for a dog that fits his image of the breed. 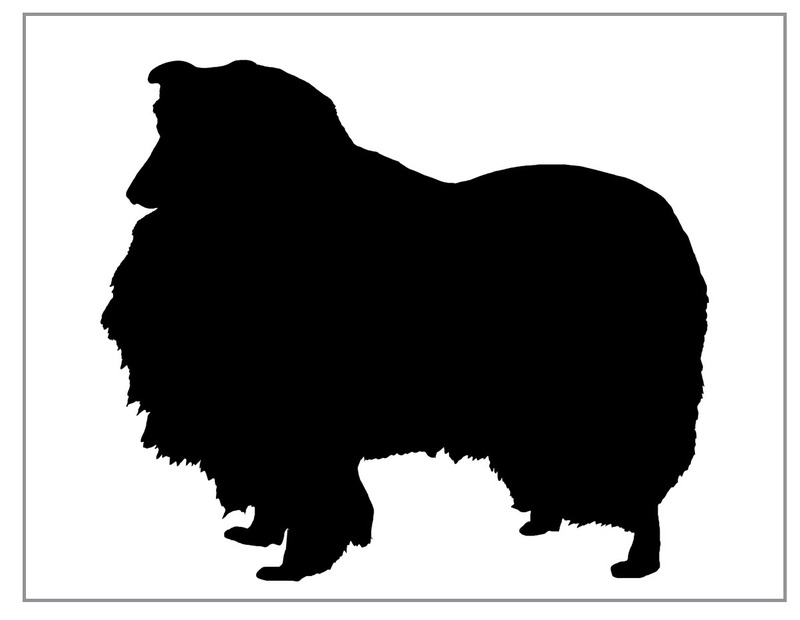 And his image of the breed is created by the dogs of that breed that he sees. Is this how our collies look to the public? Short necked and stumpy, without elegance and without the pride of the breed? I decided to do an experiment. I collected a number of photos of collies – of dogs from the foundation of the breed, famous winners from years ago, and winners of today. 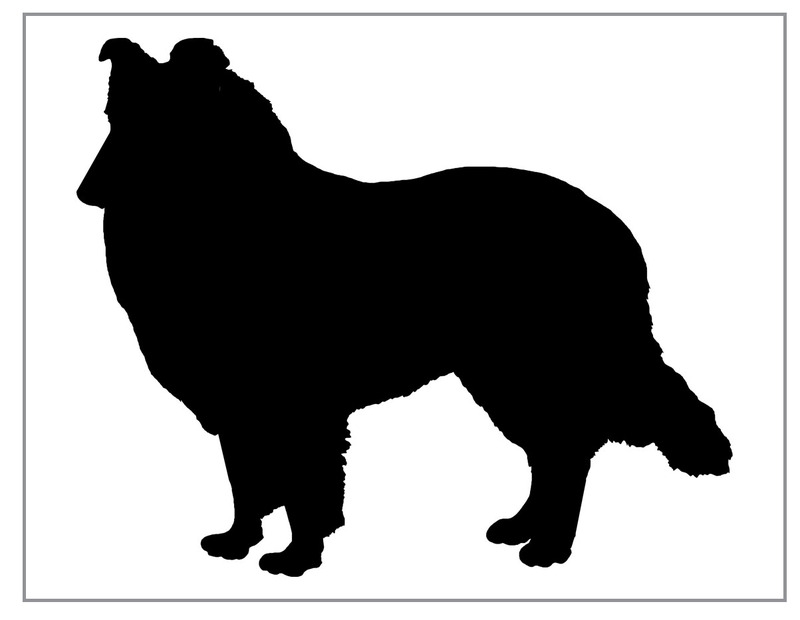 I gave them to a friend of mine who is a graphic artist and asked him to turn the photos into silhouettes – a simple process for a graphics expert, who simply draws an outline around the dog and then fills the outline with black. Today's computerized world makes these things very easy! The results were fascinating. Take a look. 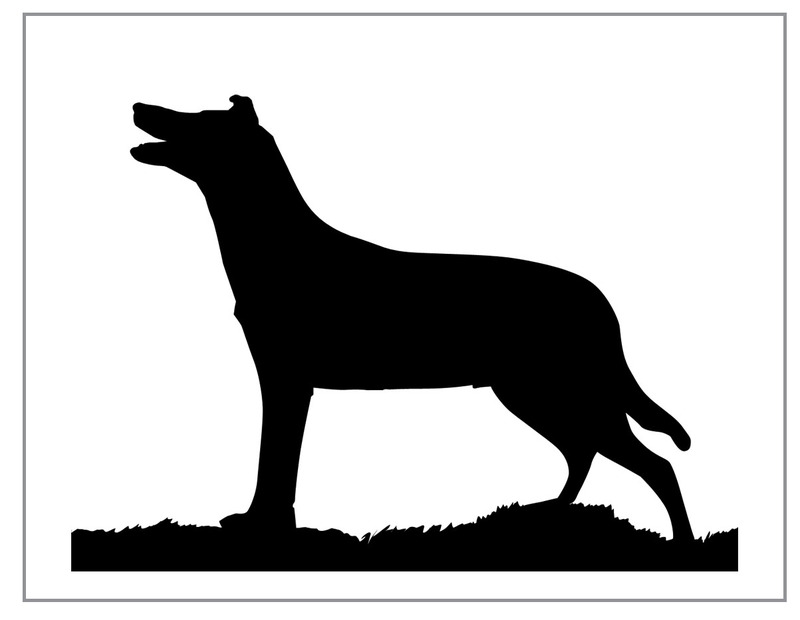 With all of these silhouettes, we see a similarity – dogs standing firmly with straight legs, good angulation and good length of body which ensured sound movement, and a proud and well arched neck of good length. Despite the somewhat different angles of some of the photos, quite old photos that were not of the best quality, we can still see the overall type of these dogs – elegance, pride, harmony. 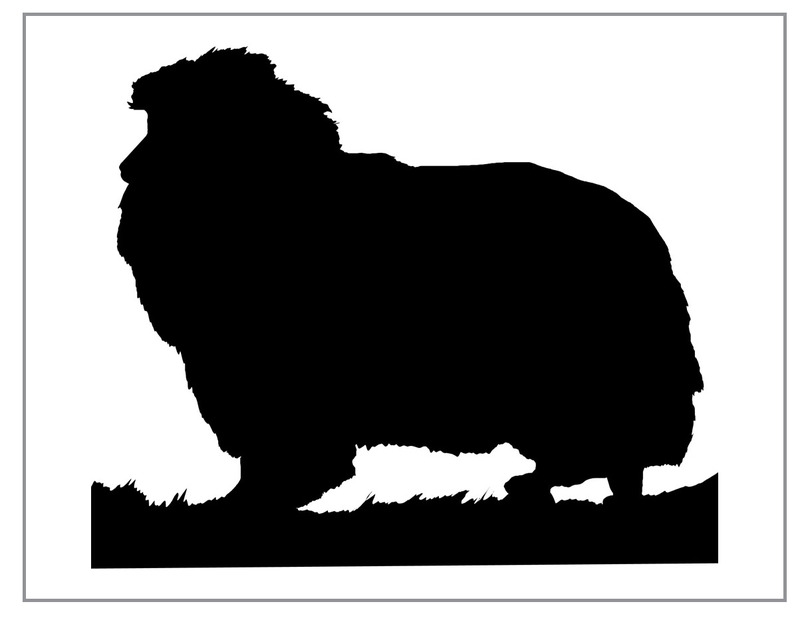 But as we go on towards "modern times", we start to see some differences in the silhouettes. 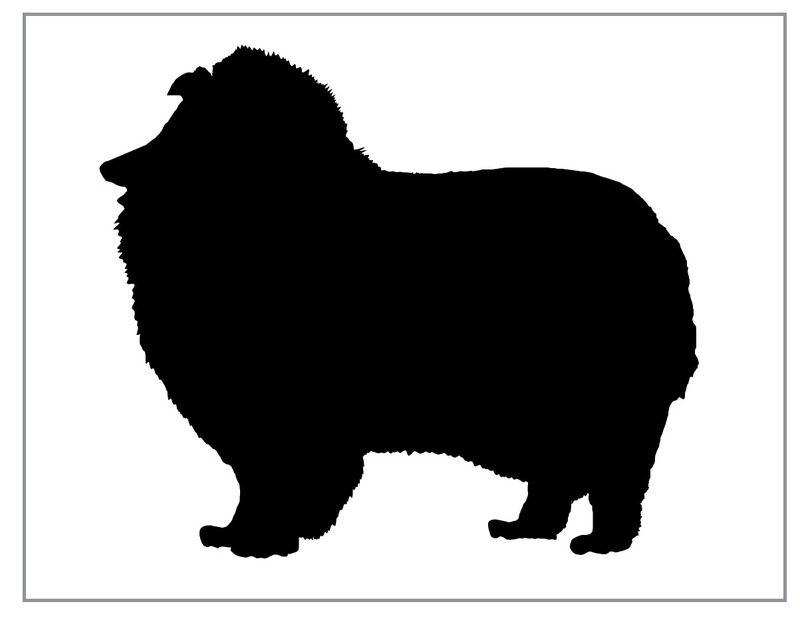 Here above we see another famous dog from the 1970's that was very influential in breeding. I think the differences from the earlier collies are very obvious. This is a well known and influential dog from the 1990's. Where is the lovely elegant silhouette of old??? 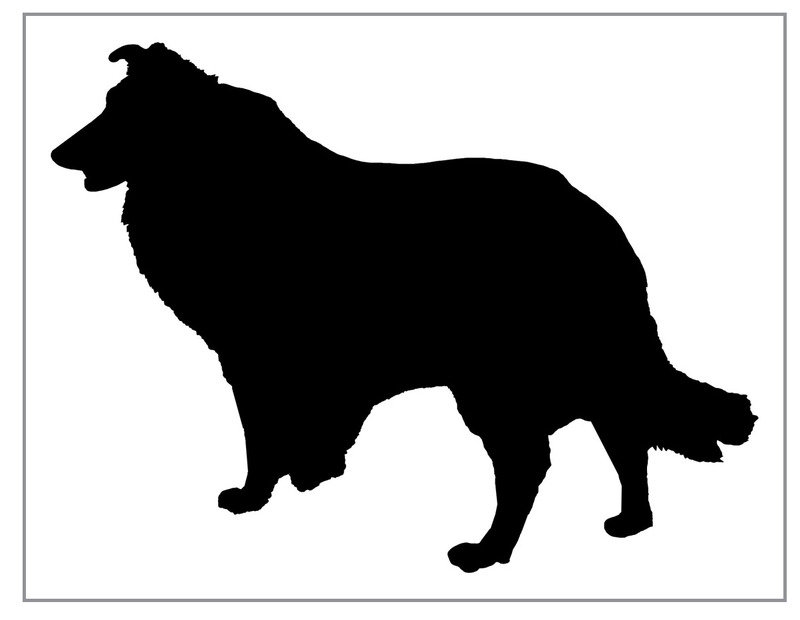 Following are a number of silhouettes of well known and top winning dogs of the last years. I don't think it is necessary for me to comment on them – just look at them and compare with the early dogs in our breed. 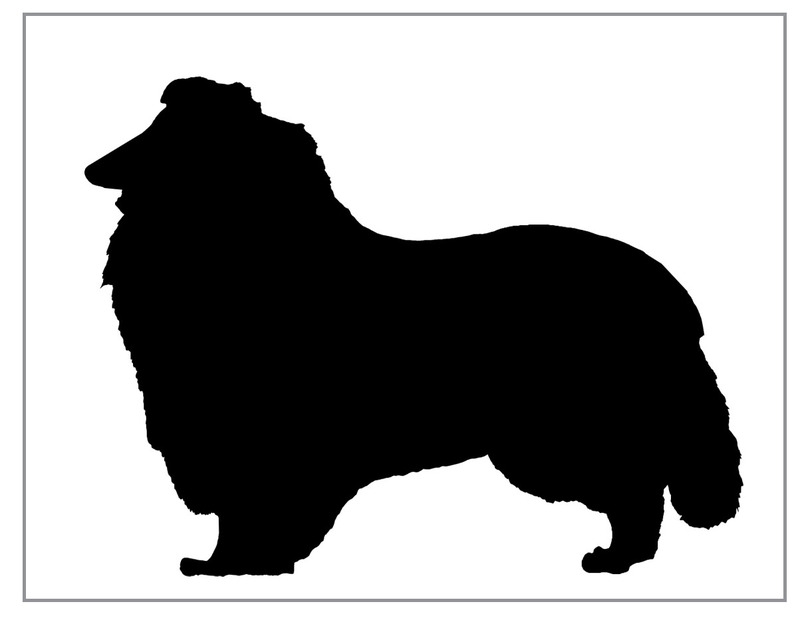 Unfortunately for us and for our breed, a large percentage of modern dogs resemble these silhouettes, rather than the beautiful dogs that were the founders and early winners in our breed. There are still, however, excellent collies which exhibit the correct structure and silhouette. It may be more difficult to find them, but they are out there, and many of them are top winners. 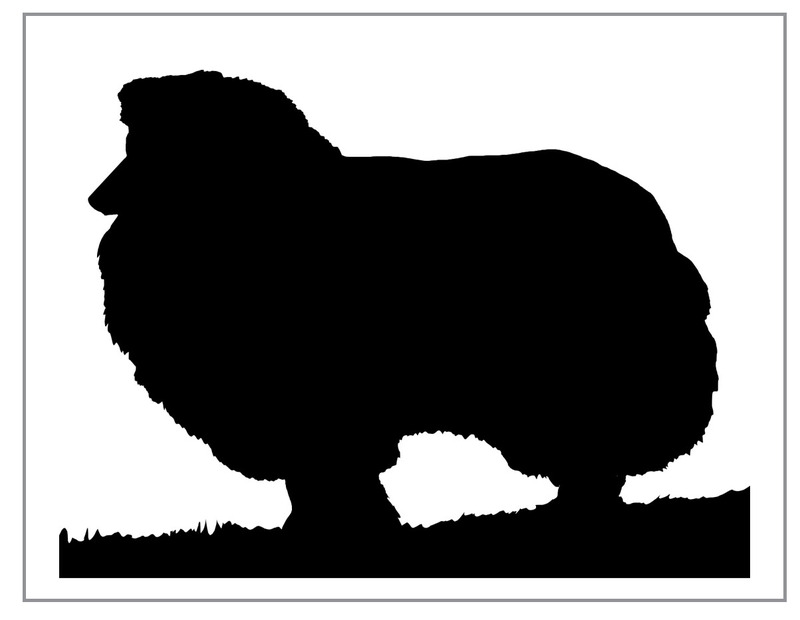 One of the "laws of nature", taught to me by one of my mentors, a very successful breeder (not of collies) and international all breed judge, is that "in the end, quality rises to the top and the mediocre disappears." These dogs are all from various bloodlines and from various parts of the world. What they have in common are the features that make them true collies – elegance, harmony, balance, correct construction – no matter what line they come from. What is interesting is that the smooth collies have not gone through these changes. Smooths of today are very much the same as the smooths were in the early days of the breed. There is not a profusion of coat to disguise the actual lines of the dogs. 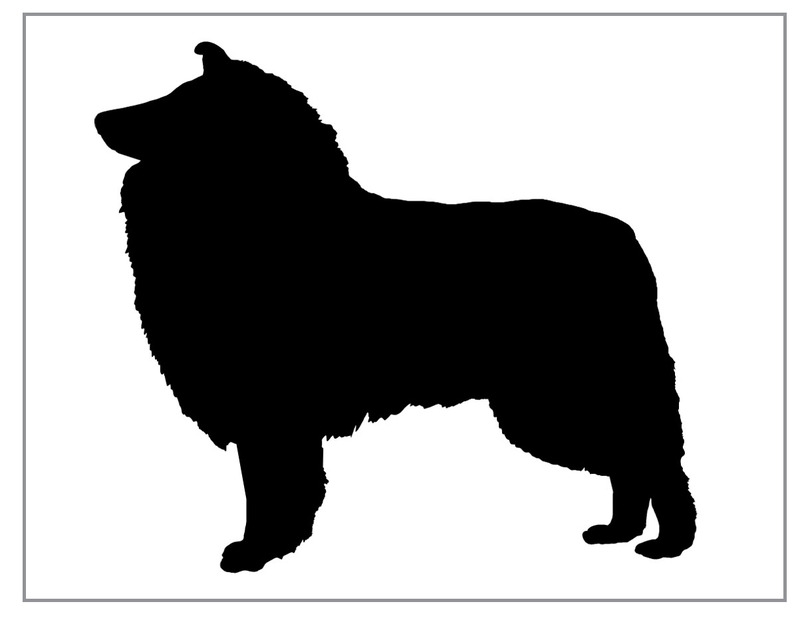 The smooth above, from the 1970's, is very similar in all ways to his ancestors from the beginning of the 20th century, and the second dog, one of today's top winners, shows the same characteristics. 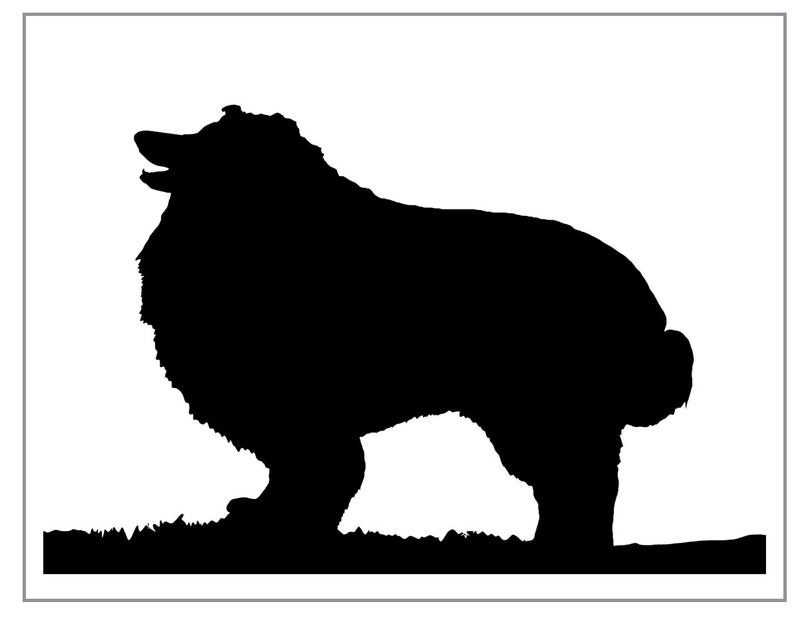 Other than the historic collies, I am not naming the dogs whose silhouettes I have used. My intention is not to criticize any particular breeder or bloodline. 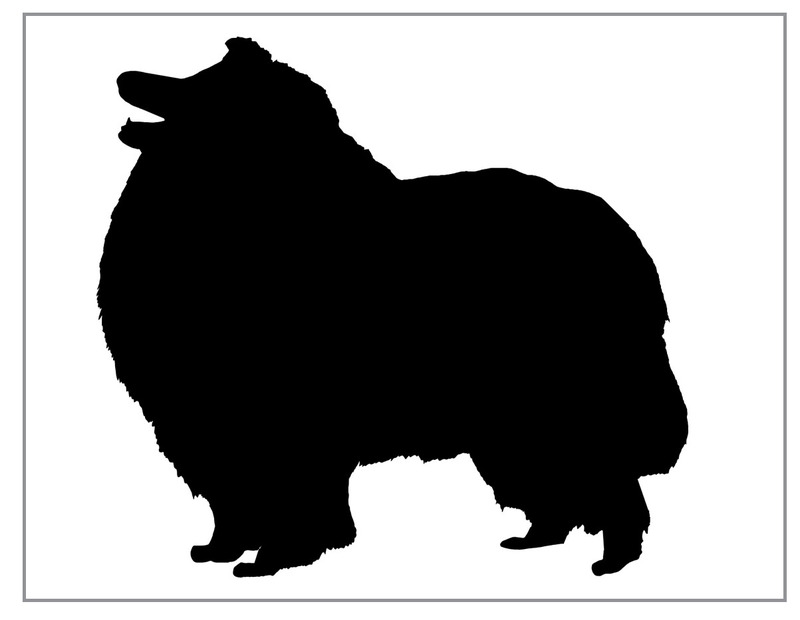 My choice of dogs has been limited by the necessity of finding those that were photographed in a profile that would allow conversion to silhouette. There are good dogs and mediocre dogs out there. 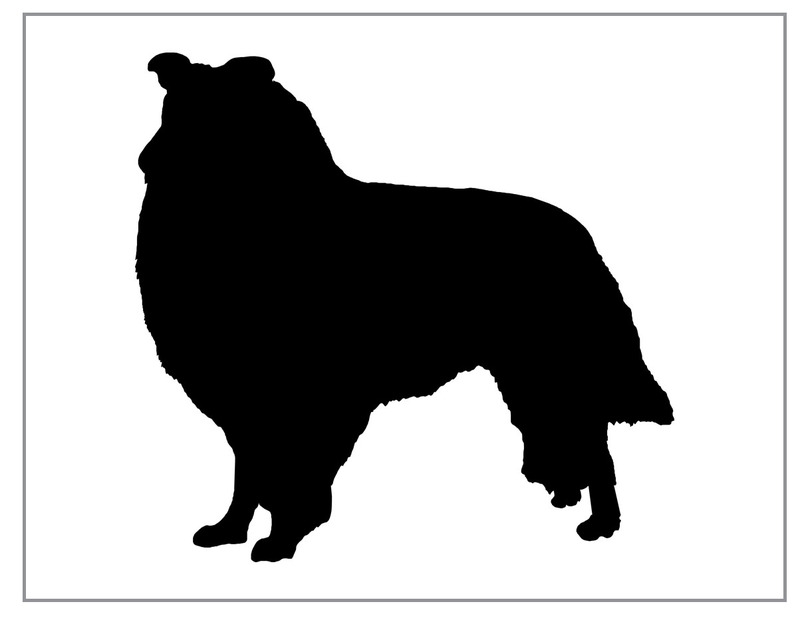 Next time you are sitting at ringside, or looking at someone's breeding stock, try to picture in your mind how they would look in a black silhouette, without the interference of color, expression and other distracting features, and then decide if the dog is constructed as a true collie should be and if he has the features we are looking for.